Mondays from 7th May (except the 11 June long weekend) from 3.30 pm – 5 pm. Perspective-Building ( technique) with markers, colour pencils, oil-pastel and acrylics. 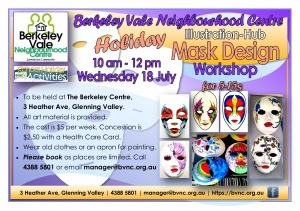 To be held at The Berkeley Centre, 3 Heather Ave, Glenning Valley. All art material is provided. The cost is $5 per week. A concession is available if you have a Health Care Card. Please book as places are limited. 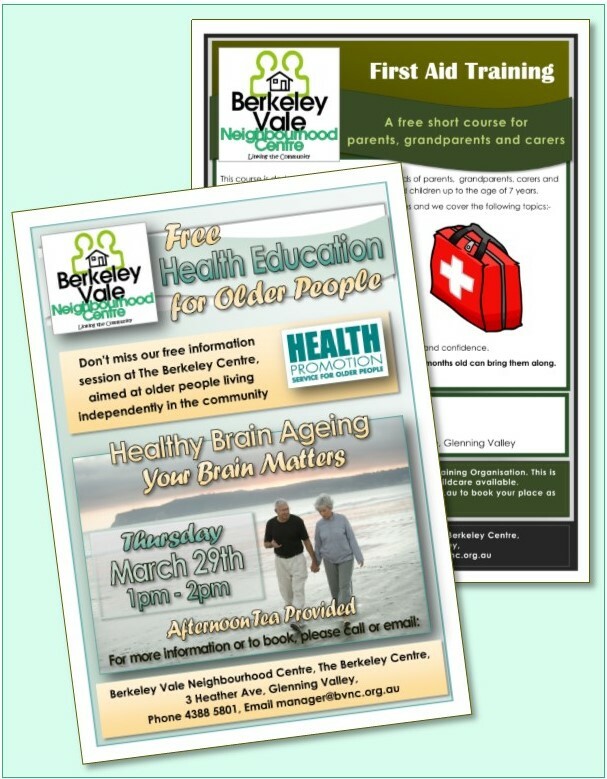 Call 4388 5801 or email manager@bvnc.org.au. 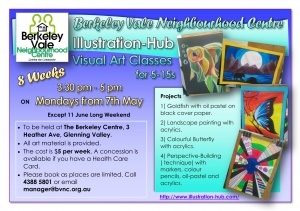 Illustration Hub Mixed Media Visual Arts Workshops held here at the Berkeley Centre this year. Mondays from 30th July – 17th September at 3.30 pm – 5pm here at the Berkeley Centre. The cost is $5 per week. Concession is $2.50 with a Health Care Card. 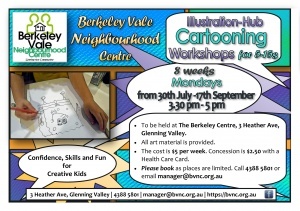 Illustration Hub Cartooning Workshop held here at the Berkeley Centre this year. Bilby Toy Library for 5 and Unders. 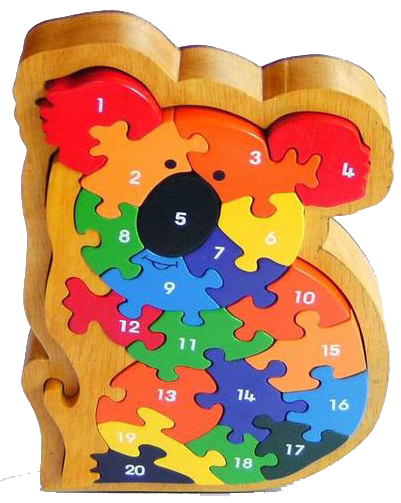 Toy therapy is spending time with your children choosing and trying new toys from the Bilby Toy Library. We have a huge range of toys that will delight your kids and help them learn. 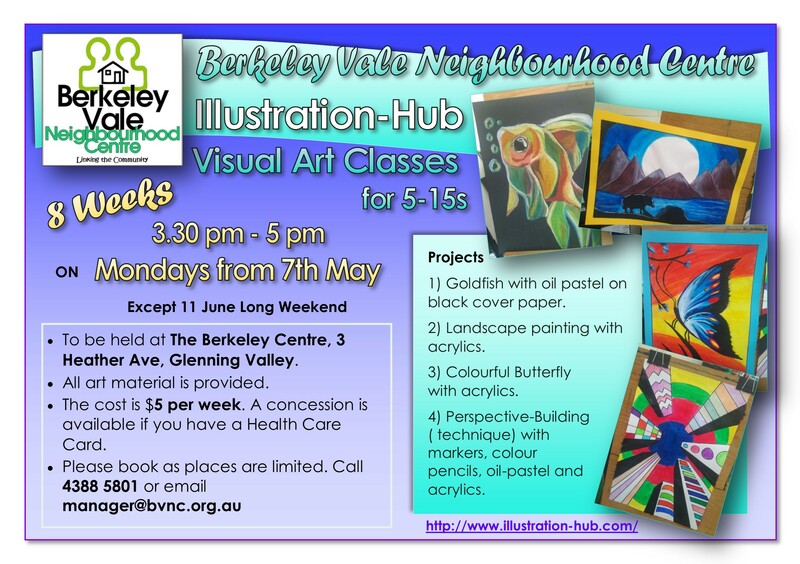 The Library is a program of The Berkeley Vale Neighbourhood Centre and runs on the funds it gets from membership. It’s a great local resource for families, playgroups and anyone caring for kids 5 & under, and includes a large range of books and children’s dress-up costumes. We have an Online Library Service which makes reserving and extending loans easy. 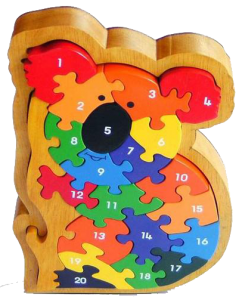 You will find more information, including information about costs and loan conditions, on our Bilby Toy Library page. You can check out our catalogue at: https://bilbytoylibrary.setls.com.au/toy_picture_index. Healthy communities encourage relationships across all social, economic and cultural divisions. Social activities for children during the school holidays in our local areas can be too expensive for families on tight budgets. Our School Holiday Activities program provides inclusive access to quality school holiday entertainment and activities, for an affordable gold coin donation, or for a subsidised small fee. – Mask-Making Workshop to be held on Wednesday 18 July from 10 am – 12 pm here at the Berkeley Centre. The cost is $5. Concession is $2.50 with a Health Care Card. Wear old clothes or an apron for painting. 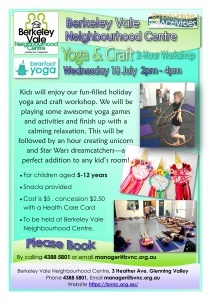 Kids will enjoy our fun-filled holiday yoga and craft workshop. 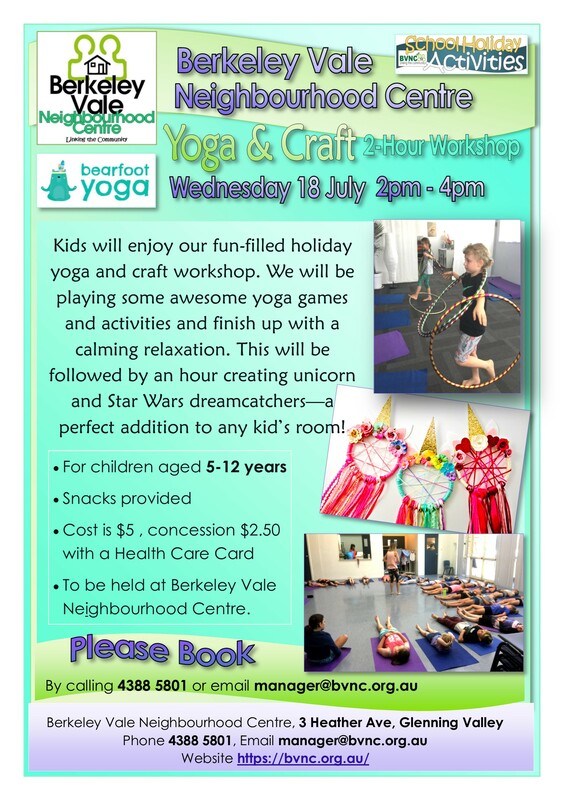 We will be playing some awesome yoga games and activities and finish up with a calming relaxation. This will be followed by an hour creating unicorn and Star Wars dreamcatchers—a perfect addition to any kid’s room! Please check our Home page News posts and Facebook Page for updates. You can also get email notifications from us by joining our mailing list (just send a request to us from our Contact Us page). 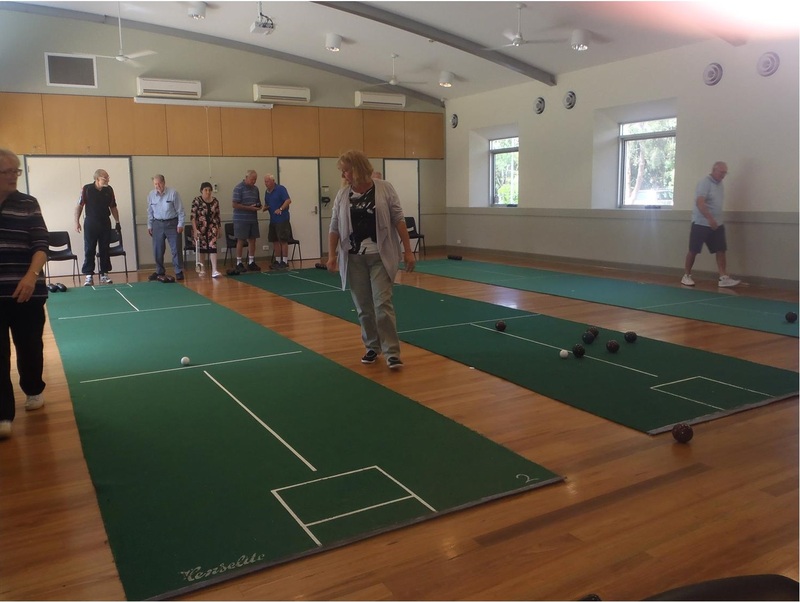 Indoor Bowls is played on Mondays from 9.30 am – 11.30 am. 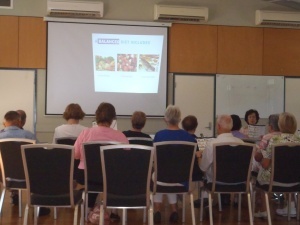 Our Community Garden is located behind the 1st Scout Hall, Panorama Pde, Berkeley Vale, NSW. 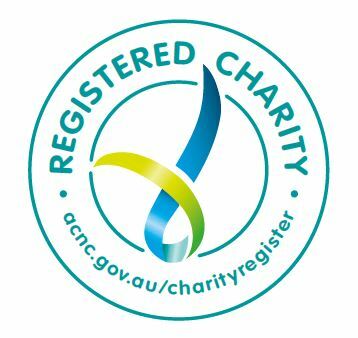 Follow the links for more detailed information about BVNC’s Group and Membership activities. 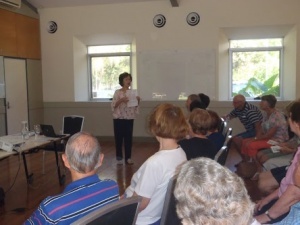 BVNC has a number of Members’ Groups who meet for activities which include Indoor (Carpet) Bowls, Mah-Jong and Hand & Foot Bolivia (a challenging version of Canasta). 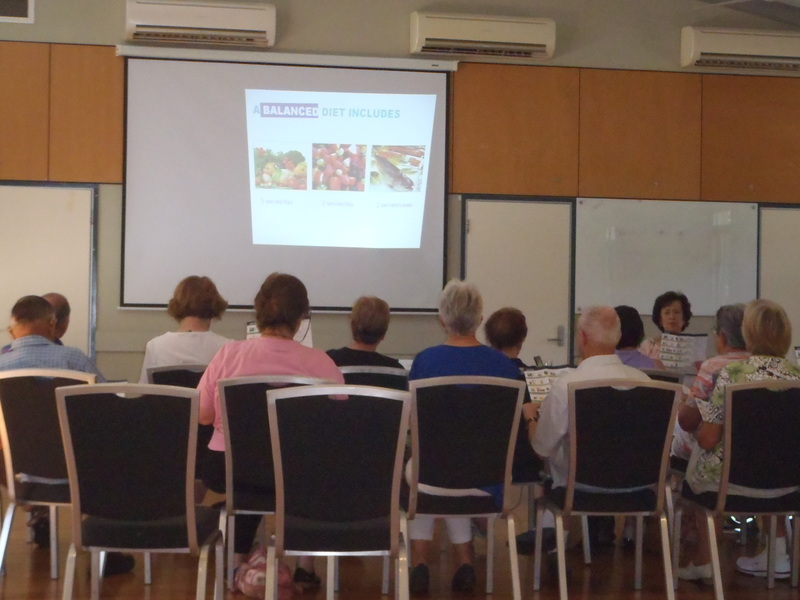 There is also a NSW Sport and Recreation Walking for Pleasure Group. 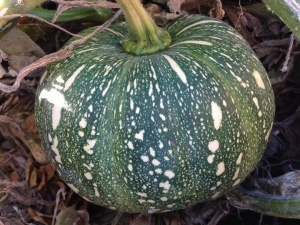 We have a Community Garden with membership available for people to rent and maintain their own garden beds and participate in general maintenance of the garden. Our community garden has its own Facebook page. Central Coast NFP FIAM Care Arm will be holding FREE dinner & games nights here at the Berkeley Centre every 4th Friday night from 6.30pm – 8.30pm, starting on Friday 25th May. For all inquiries, call Abraham on 0430 995 790. Click here for their flyer. 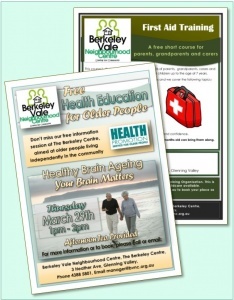 Supported by Berkeley Vale Neighbourhood Centre. 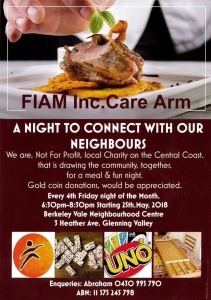 The next night will be on Friday 22nd June from 6.30pm – 8.30pm. We occasionally hold free Neighbourhood BBQs at The Berkeley Centre. Watch our Home Page News posts and Facebook page for updates. We will be putting on First Aid Training for Parents and Carers (Free, but gold coin donation appreciated) in coming months. Check our Home page News posts for updates. 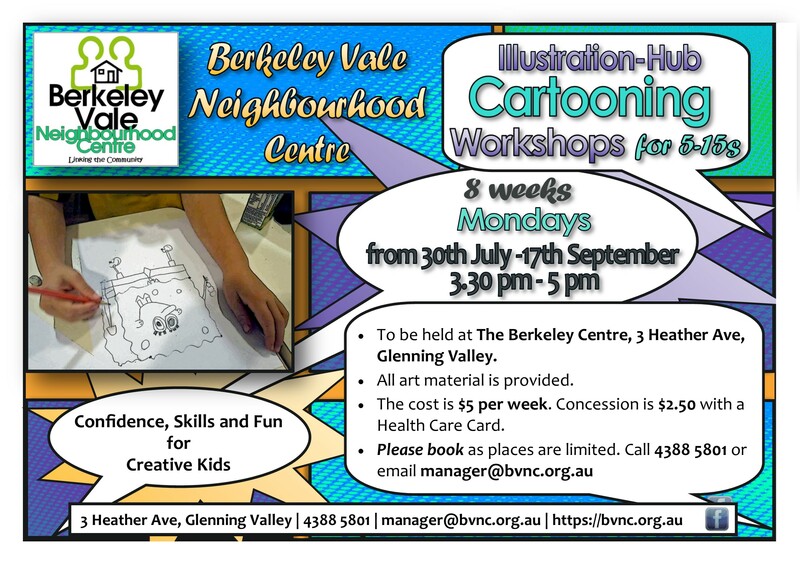 Berkeley Vale Neighbourhood Centre also supports and sponsors workshops and training, as well as events and other activities, held here at The Berkeley Centre by other local services and groups. You can visit our Home page News posts or go to our Facebook Page to see what’s happening.You can also get email notifications from us by joining our mailing list (just send a request to us from our Contact Us page).